This Baker Ross box was one of my absolute favouries, so much to do with it! 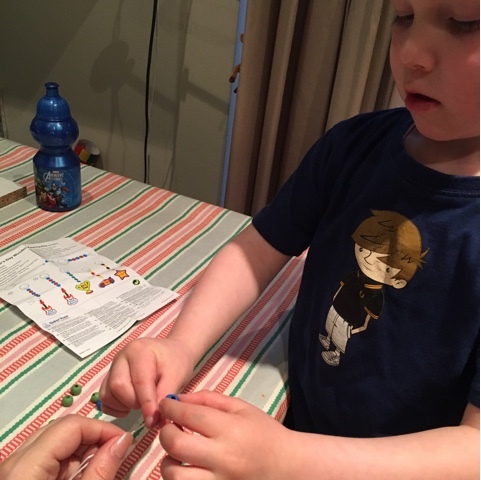 We used the roll of paper to make our fab fathers day wrapping paper! 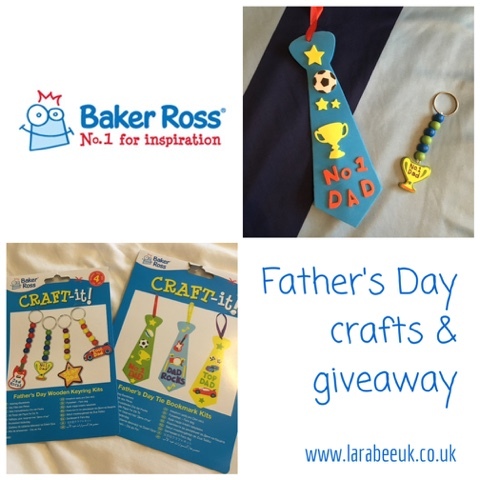 Look out for more craft posts using our Baker Ross goodies in the next couple of weeks. 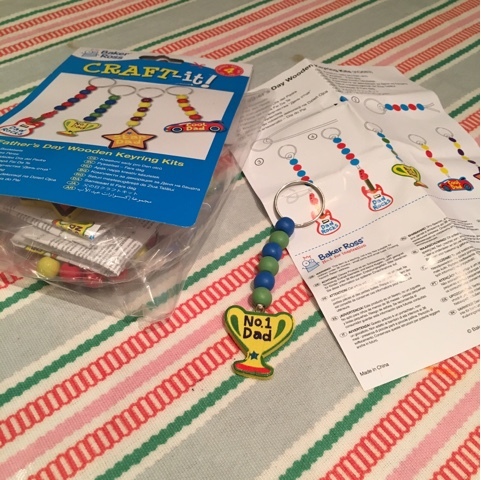 Anyway, onto our Fathers Day crafts. 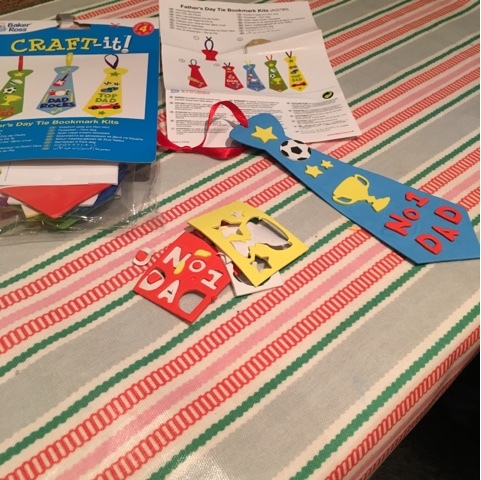 The first craft we made was the Fathers Day tie bookmark kit T has really got used to this format of kit from Baker Ross and now mostly finds it easy to do these by himself. It's only some of the more detailed foam stickers in the kit which need a bit of help from me! These kits are fantastic value at £2.99 for 4 kits, you really can't beat that can you? 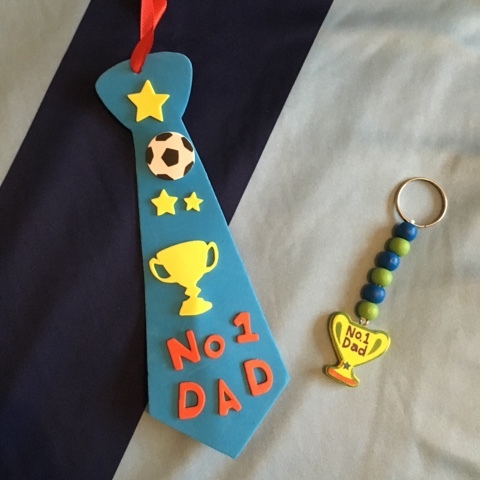 Next we moved on to the Fathers Day keyring kits, these did need a little help from me, but T was very proud that within minutes he had a great handmade gift to give to his Daddy. Again these are £2.99 for 4 sets, amazing value for money for families, clubs or groups I'm sure you'd agree. So I have 3 kits left after T made his gifts and I thought I'd do a little giveaway which you can enter below. 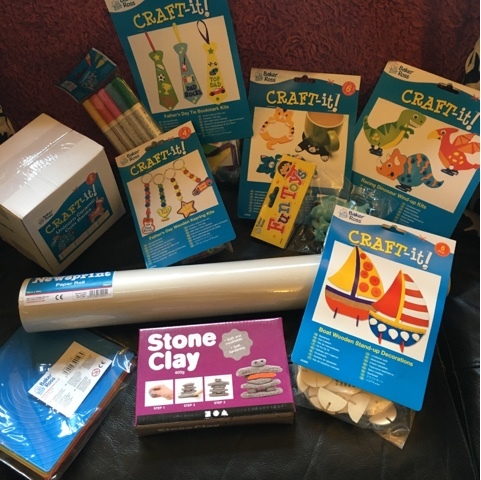 Disclaimer: I am a Baker Ross Blogger and am sent a box of crafts to make in return for our honest review. 1. Incomplete entries will be disqualified. 2. Colours may be slightly different from picture. 3. 3 set available (1 tie and 1 keyring in each set). 4. Ends midnight 23 March 2016. 5. Will be re-drawn if contact with winners cannot be made within 10 days of drawing. I like the tie it's very cute!